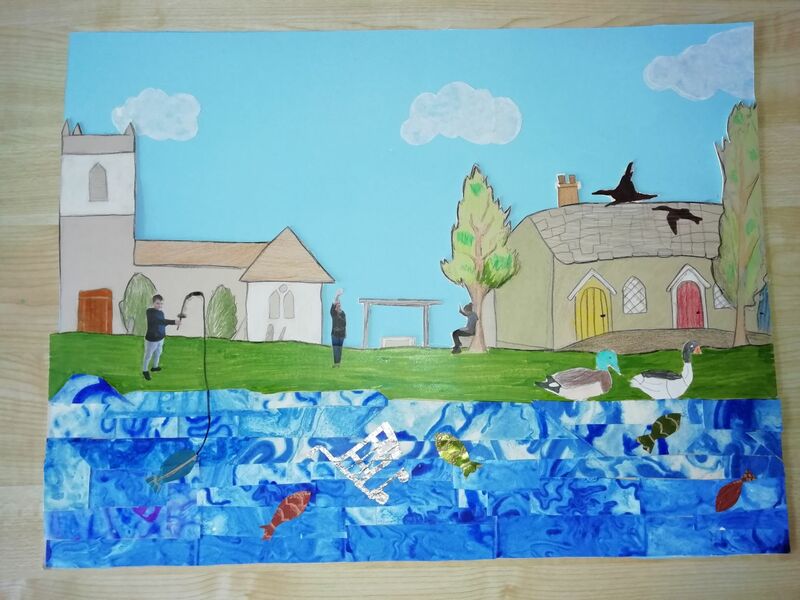 Together for our project we created a poster on the Santry river. 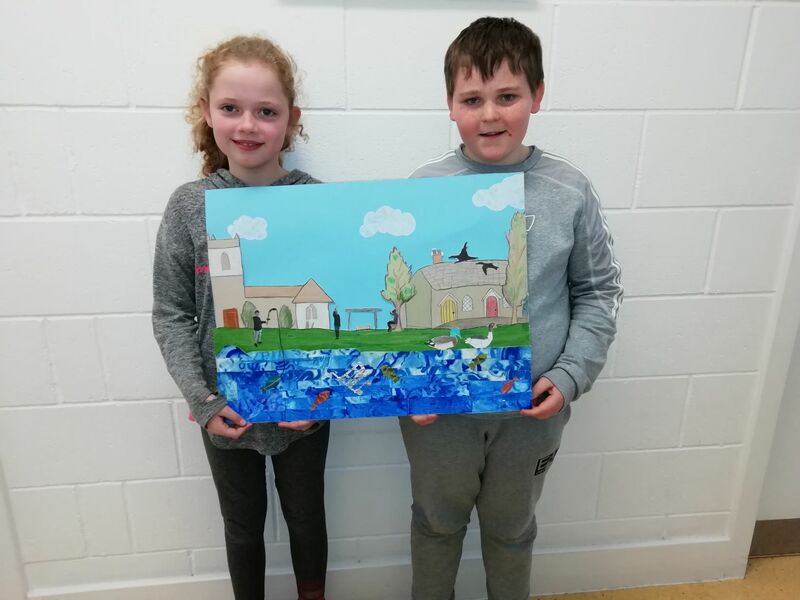 The Santry river is on the north side of Dublin and flows past places like Coolock, Harmonstown, past our school, through Raheny and out into the sea at Dollymount. Some materials that we used include water colour paper for marbling, marbling paints, metallic paper, cardboard and crayons. We used different techniques including marbling, colouring, drawing and photography.